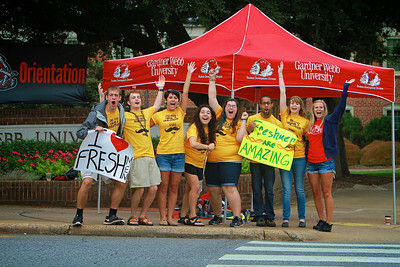 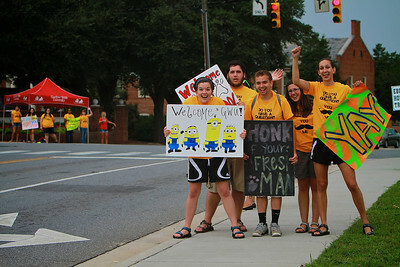 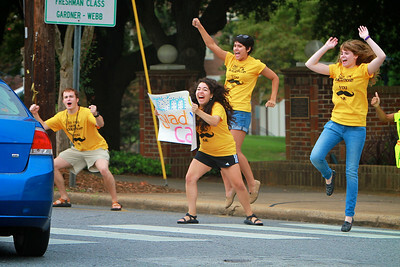 Students cheer at the stoplight to greet incoming Freshmen as they arrive on the campus for orientation. 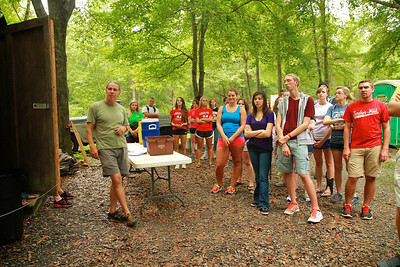 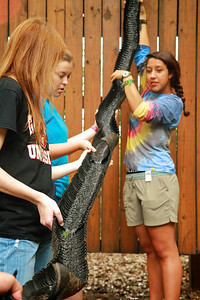 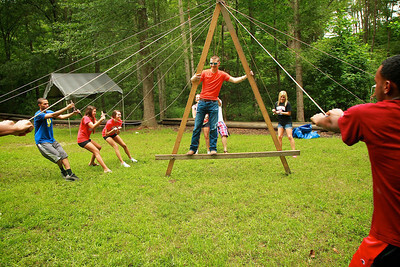 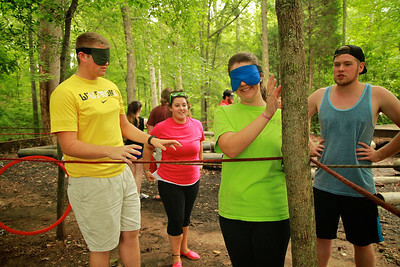 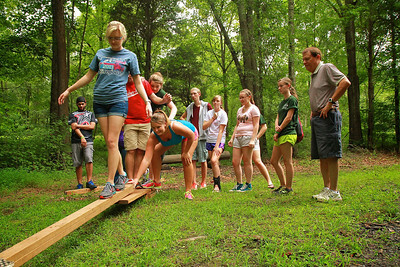 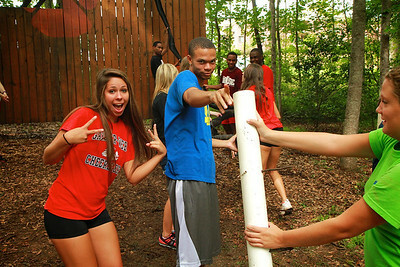 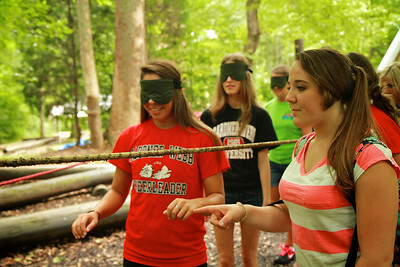 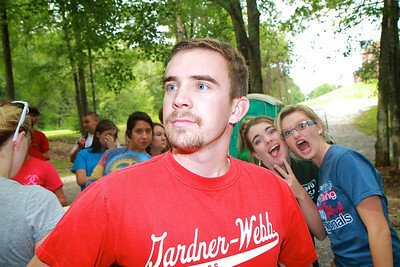 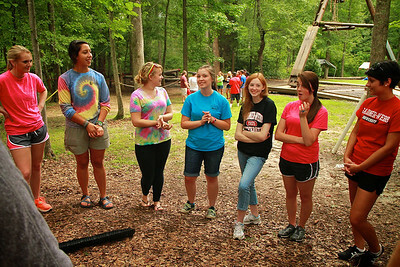 2013 Fall Orientation Events at Broyhill Adventure Course. 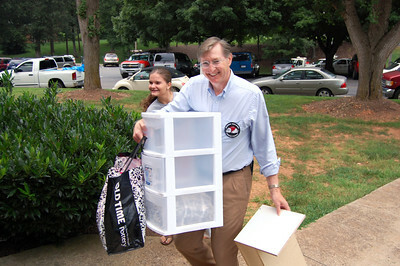 Parents moving in students for Orientation 2013. 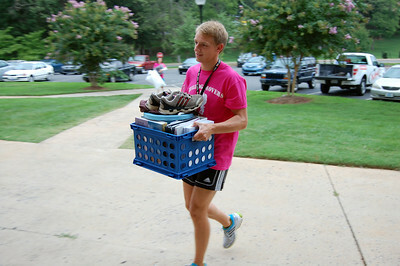 Bulldog Mover helping a student move in for Orientation 2013. 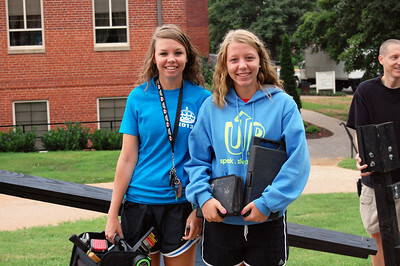 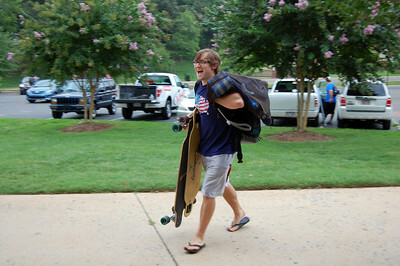 Student moving in for Orientation 2013. 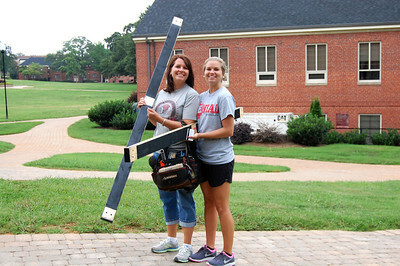 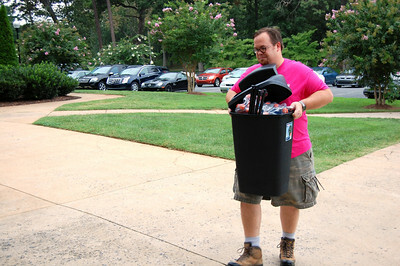 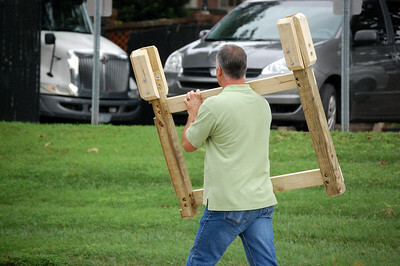 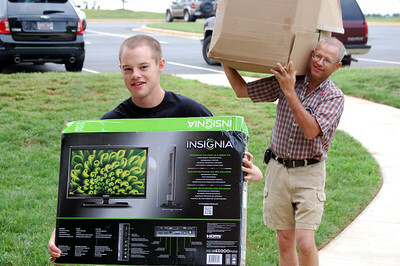 Parent helping their child move in for Orientation 2013. 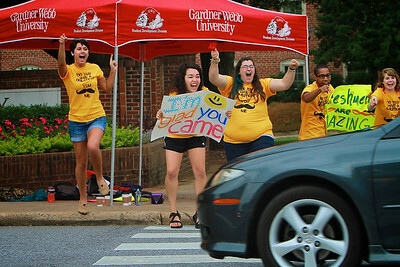 Bulldog Mover helping students move in for Orientation 2013. 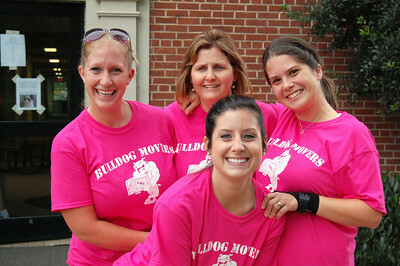 Bulldog Movers stop to pose before getting back to helping students move in for Orientation 2013. 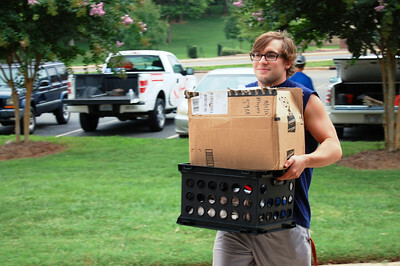 Bulldog Mover helping a student get moved in for Orientation 2013. 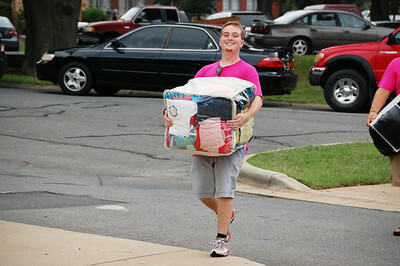 Parent moving in their child for Orientation 2013. 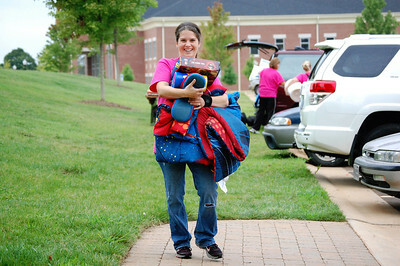 Parent and student moving in for Orientation 2013. 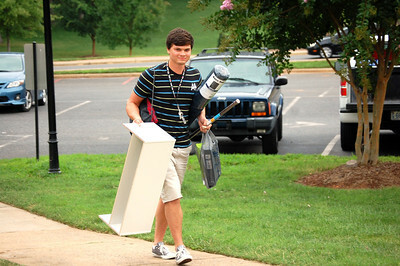 Moving in for Orientation 2013. 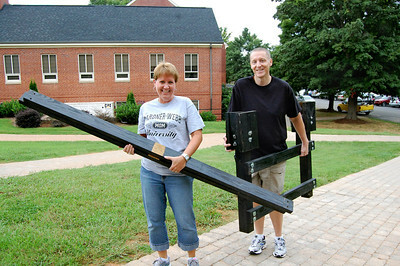 Parents moving in their student for Orientation 2013.